I'm sure plenty of us have coveted the lives of the rich and famous. I'd love to wake up one day in a house as big as an amusement park, get free clothes and be impossibly flaw free. 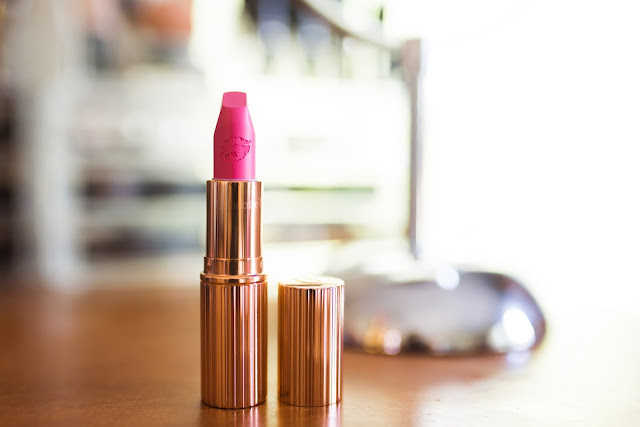 That's probably not going to happen anytime soon, or at all, so until that day comes Charlotte Tilbury has us covered with her new line of celebrity inspired lipsticks. Hot Lips is a collaboration Between Mrs Tilbury and 12 different celebrity muses. The line wants to transform your lips into the likes of women such as Penelope Cruise, Kim Kardashian, Emily Ratakjowski and Victoria Beckham. The colors are fun, fresh and there is a shade in there for just about every girl. The real fun began when I went through each lipstick and thought about which of these women I would like to look like for a day. They should make a quiz to match you to the lipstick you are most compatible with! In the end I decided on Bosworth's Beauty. Named after The lovely Kate Bosworth, I've always loved her natural and classic look and I (secretly) still watch Blue Crush anytime it's on! Bosworth's Beauty is a retro pink that is perfect for when you want a pop of color to brighten your day. This is one of those shades that looks gorgeous on all kinds of women, but I have to say I think it's well suited for us paler skinned girls and it makes my eyes look especially bright. 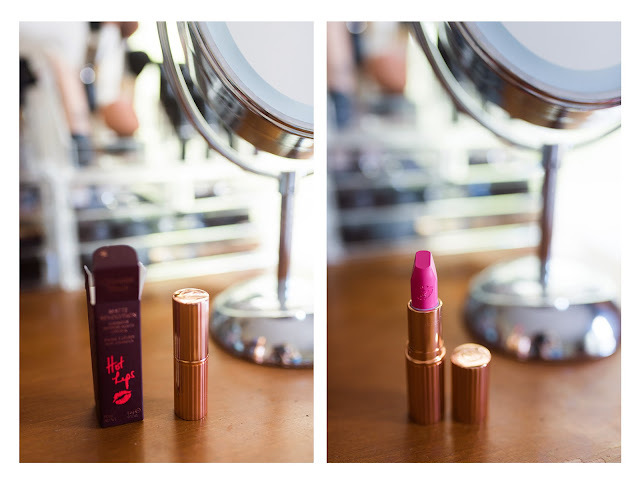 I couldn't help but take a few photos of the gorgeous packaging and the details of the tube and lipstick. How cute is that little kiss? Check out the rest of the hot lips collection over here!